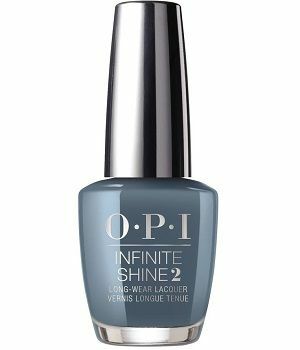 OPI Infinite Shine Long Wear Lacquer, Alpaca My Bags, ISLP33, .50 fl. oz. Dusty grey-toned blue creme nail color with subtle green undertones.